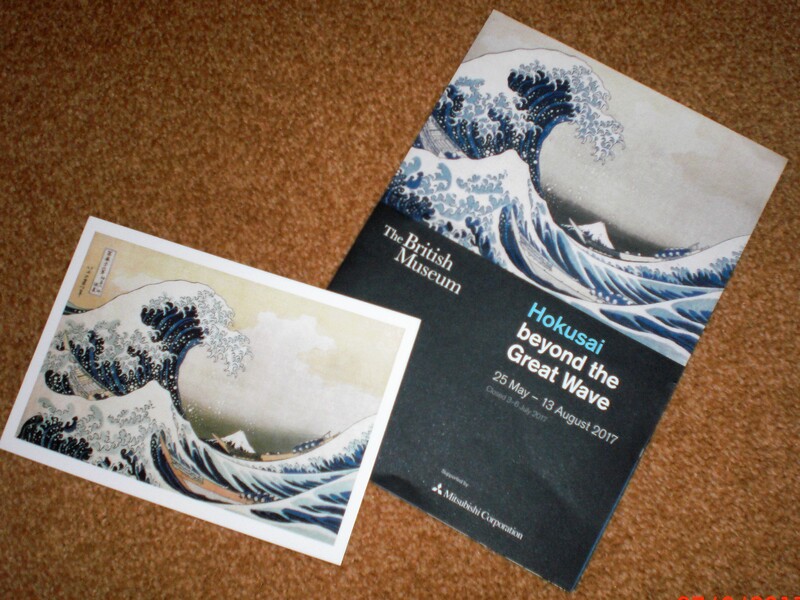 Recently, Elizabeth and I visited the Hokusai Exhibition at the British Museum. Widely regarded as one of Japan’s most famous and influential artists, Katsushika Hokusai (1760-1849) produced work of astonishing quality right up until his death at ninety. Indeed, he believed that the older he got, the greater his art would become, considering that he hadn’t painted ‘anything useful‘ until he was seventy. He even added his age as part of his signature: the self-styled Old Man Crazy to Paint: Gakyo Rojin. The Exhibition displays his work from the iconic Great Wave, to the delicacy of a minuscule frog hiding among the leaves of a flower. And being accompanied by a lady who lived in Japan, speaks the language, and was able to give me her own insights as we walked round was an added delight. Tickets to the Exhibition are selling out fast, but if you aren’t able to snaffle one BBC4 is showing a programme on Hokusai TONIGHT, at nine o’clock. Well worth watching, or recording.